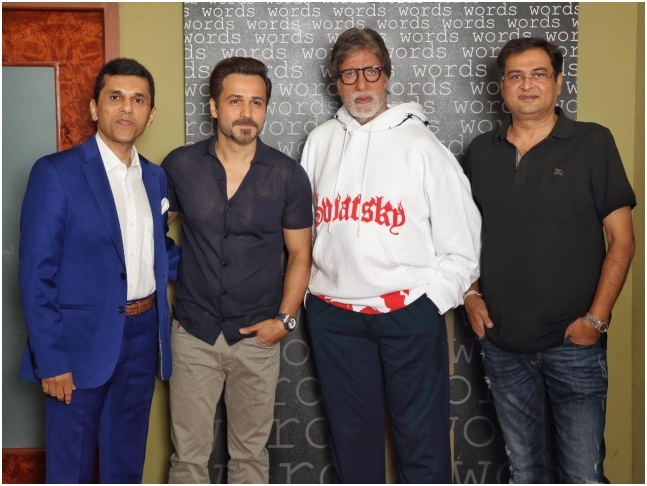 Megastar Amitabh Bachchan and Emraan Hashmi are set to star together in a psychological thriller to be produced by Anand Pandit and directed by Rumi Jaffrey. Pandit said in a statement: "My friendship with Bachchan goes back two decades. I have not met any other actor who matches his skill and commitment. It is an honour to be a part of creating a film with the legend. Given the subject of the film, Bachchan's association and a talented actor like Emraan Hashmi on board, I do believe we have a winner in our hands." Big B tweeted: "A long standing commitment, now being fulfilled... Finally, to be a part of Anand Pandit's next production, starring Emraan Hashmi and directed by Rumi Jaffrey. Releasing on February 21, 2020." The project will mark the first time collaboration between Big B and Emraan. The film is called Barf, as reported by PeepingMoon in an exclusive report in March. "I believe in Emraan, we have one of our best young actors. His performances are compelling," said Pandit, who has also backed PM Narendra Modi, which has been stopped from release amid the elections which began on Thursday. The film will release on February 21, 2020. Shooting begins in May.